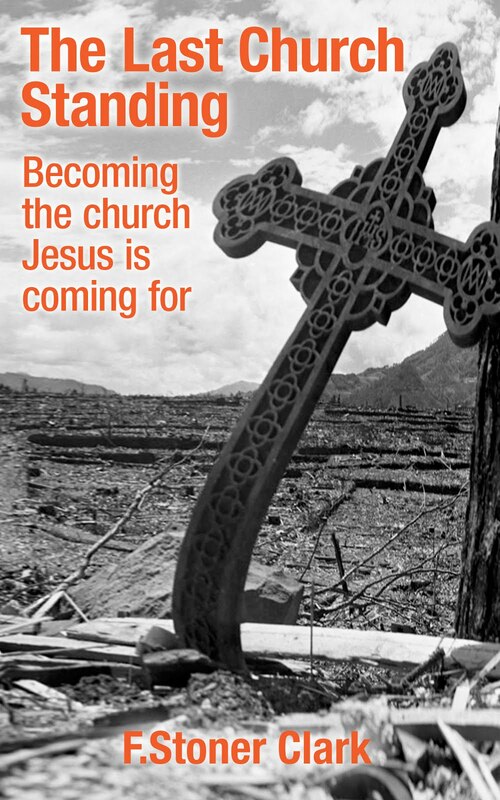 We need to consider the reality of community in our efforts to bring a Christian perspective to prepping. If prepping per se is consistent with the life of faith we have been called to in Christ, then community must play a significant role in how this would play out in the process. If community appertains to the Christian life in general, than it must follow that it also would be germane to one’s preparations in thwarting those unwanted and unintended consequences so inevitable in life. It should be understood from the outset that the sense of community being addressed here is far more than the basic understanding of a group of people living in the same area. What we are concerned with here is the nature or character of those persons living in the same area with respect to their interpersonal relationships, commitments and shared values. As a nation, we have grown increasingly socially distant and detached from one another to the extent that persons can reside in the same neighborhoods for years without developing significant contact and relationships with their neighbors. Even the architecture of homes reflects this trend as houses once built with front porches are now mostly constructed with private rear decks instead. I grew up in a wonderful home that had no welcoming front porch but rather an extensive rear patio and back yard. We had very little contact with our neighbors, but it was completely different when we visited my grandparents in their old home in Altoona, PA. I still remember the times of warm fellowship enjoyed during those visits where daily gatherings of friends and neighbors on their front porch fostered the sense of community our present day society has forfeited. Meaningful community, the kind that is constituted by intentional relationships and interactive lives, does not come about naturally but must be purposefully cultivated. This type of community starts when persons living in proximity to one another realize the value of interdependent living. It starts with the recognition that there will be times when well meaning, productive and basically self-sufficient people will need the encouragement and help of their neighbors. The constituents of this type of community are committed to always doing what they can for themselves while having the humility to seek outside support when necessary. If truly biblical principles relating to Christian community were exercised, we would no doubt experience a utopian society. It is interesting that the definition for “utopia” refers to an imaginary place in which the government, laws, and social conditions are perfect. It comes from the Greek ou topos which literally means “not a place.” The word was originally coined by Sir Thomas Moore in the 16th century when he wrote a fictional work depicting the perfect society. In truth, the church properly realized would be authentic utopia. However, this level of perfected community can only be achieved when truly regenerated persons consistently live by the principle of the cross in their daily lives. When we choose to die to our own self-serving wants, needs, aspirations and appetites opting to serve first the purposes of God, authentic relationships become a reality thus allowing the creation of bona fide community. It is dismaying that so much of what defines our culture literally mitigates against meaningful relationships and genuine community. The nature of community in America was very much altered through our transition from a principally agrarian society to one that was mostly industrial and technological in essence. Consider how socializing in general, the kind of games people used to play and what used to constitute entertainment has transmogrified from relational in nature to non-relational. With the advent of video games and smart phones we began to raise generations of youth totally lacking in social graces and skills. The extent to which this transition has influenced our relational behavior is epitomized by young people who prefer impersonal texting to the more relational act of conversing on the phone. Another factor in the disruption and decay of meaningful community is the government’s obvious efforts to create an ever increasing class of citizens whose primary dependency is in government subsistence. More and more people are encouraged to look to and seek assistance from government generated programs. This is not happening casually but rather is an intentional and calculated nefarious attempt of the government to create a dependent class of society which looks to it as its savior. The ultimate intent here is governmental control over every aspect of one’s life. The level of government intrusion, surveillance and control in the lives of Americans today with the commensurate loss of freedom is unprecedented in the history of our nation. It has always been God’s intent that we care for, look after and help one another. As part of this being the reality of life together, the building of authentic relationships has been a major factor in the equation. The better we know, appreciate and love one another, the more apt we are to look to one another in times of need. Remember, the more we honor and serve one another in the daily give and take of life, the more God is manifested and glorified in the midst. Patrice Lewis shares her perspective following an unsolicited inquiry from a social worker on the occasion of the birth of their first child. The social worker all but demanded opportunity to come into their home to teach Patrice methods of proper parenting. This brief experience cemented my husband’s and my desire to never, ever request government assistance. We live with the mantra of LEAVE US ALONE when it comes to busybodies. When we need help – and of course there are times we do – we seek first the assistance of family, then friends, then church, then community. In that order (wnd.com/2015/01/leave-us-alone). Notice the tier of support illustrated here that follows one’s efforts to practice independence from false solutions and applying personal industry—family, friends, church, community. Of course there would naturally be a certain amount of overlapping of individuals within these various delineations, but one common denominator would be true of all—the intentional development of meaningful relationships. We can learn much of true community from biblical precedents and teaching. I believe God created us as relational souls meant to discover a certain symbiosis in our relationships. He never intended that we become completely self-sufficient, self-contained independent monoliths. There are aspects of our personalities that can only be fully realized in the context of community. God always intended that we release something of his life to one another in social interaction thus calling one another more into his likeness. I am not suggesting here that we should not first attempt to fend for ourselves. However, we should also have the temerity and humility to seek assistance when our knowledge and skills fall short of what might be needed. Then God said, “Let Us make man in Our image, according to Our likeness; let them have dominion over the fish of the sea, over the birds of the air, and over the cattle, over all the earth and over every creeping thing that creeps on the earth” (Gen 1:26 NKJV). In this passage we actually have two references to community. The first reflects the plurality of God’s persona in the Trinity as he refers to man being made in “our image,” and the second incident is seen in the use of “man” as humankind when God says “let them have dominion over all the earth...” In the very mystery of the Trinity we have an expression of biblical community, a grouping of “persons” living out their respective callings in concert with one another. In referring to man as humankind God was stipulating he was creating a community of persons. Given that he later declared his desire to dwell among his created ones, it seems logical to believe that men should also be together as living out their respective callings in concert as evidence of being created in God’s image. And I will make of thee a great nation, and I will bless thee, and make thy name great; and thou shalt be a blessing: (Gen 12:2 KJV). It is obvious that God was not just calling a man but a community into existence with the full intent of inhabiting that community with his presence. When the Lord told Moses to instruct the people to build him a tabernacle that he might dwell among them, he was prefiguring the body of Christ. Have the people of Israel build me a holy sanctuary so I can live among them (Ex 25:8 NLT). I will dwell among the children of Israel and will be their God. And they shall know that I am the LORD their God, who brought them up out of the land of Egypt, that I may dwell among them. I am the LORD their God (Ex 29:44, 45 NKJV). Israel’s deliverance from Egypt is nearly universally accepted among Christians as an Old Testament type of salvation. This passage reveals that God’s intent in bringing about salvation was to dwell among his people. Jesus lent credence to the same theology when he said he would be present wherever two or more were gathered in his name. One of the most profound ministries of the Holy Spirit is that of forming believers together as a habitation for God. Peter explained this phenomenon in terms of living stones being fitted together for a dwelling place for God. And you are living stones that God is building into his spiritual temple (1 Pe 2:5 NLT). The church isn’t defined by buildings, programs, denominations, etc. ; it is defined by the presence of God among those who are allowing him to form them into that spiritual tabernacle. That tabernacle is an incarnational community devoted to making Christ known in all their ways. It is this sense of community that must also be captured in our pursuit of Holy Spirit-led preparations. I am not suggesting here that we should go out and attempt to transform our respective geographic communities into something replicating biblical community. However, the principles governing Christian community can greatly serve the best interests of any group of people sharing a common locale. This is particularly germane with respect to the kinds of societal disruptions looming in the near future for America. When the disruptions come, we want to hopefully be positioned to thwart unwanted and unintended consequences. In a very real sense this is how we give a good account for ourselves much like in Jesus’ parable of the talents. In financial accounting, there are two sides to the typical ledger. One side is called assets and the other side liabilities. How we respond to the opportunities given us to prepare in advance will determine which side of the ledger we end up on. Part of our motivation for choosing to be on the asset side of the page is that we might be situated to help others who were unable to help themselves. This aspect of prepping is quite parallel with why members of the body of Christ gather in his name. Although the church gathers biblically for multiple reasons, one of the most significant is so that those gathering might bring something of Christ’s healing, shaping presence to one another. Paul asserted as much in his instructions to the church at Corinth. What is the outcome then, brethren? When you assemble, each one has a psalm, has a teaching, has a revelation, has a tongue, has an interpretation. Let all things be done for edification (1 Cor 14:26 NASV). The practical implications of this passage can easily be transferred to a secular community of persons who understand the necessity of standing together and taking advantage of the multiplicity of resources available within the community. Given our discussion of community thus far, what would be the take-a-ways we might want to exploit in terms of Holy Spirit led prepping in our own communities? This process must begin with an inner belief that one’s best hope for surviving and overcoming what is coming is through cooperation and mutual support with others of similar mindset. I know there are some persons out there who have the requisite skills and resources to go it alone, but the average person simply does not. The lone wolf paradigm for survival has a certain romantic appeal and probably touches something deeply adventurous in us, but for most of us this direction would best be left in the dimension of our dreams. For the greater majority, the most pragmatic approach is in building authentic community out of which shared knowledge and resources will provide the optimum opportunity for success for all involved. The first and most essential question that must be answered is whether or not real community exists within one’s personal geographical location. Do you have authentic community with persons within, for example, a mile each direction of where you live? If so, do these persons share similar understandings with regard to the need to prepare for any number of potential societal disruptions? Are these persons committed to standing together in mutual support, protection and care for one another? If this kind of community does not exist for you, what are you willing to do to help build true community among your neighbors? My wife and I have lived in numerous small towns and rural communities over many years of marriage and we know well the reality of the insider/outsider demarcation. If you are not born into a multi-generational family situation, you are basically considered persona non grata in most small town scenarios. We once served as pastors for seven years in a rural Indiana town of 600 persons and were still considered outsiders when we left. However, when we bought our most recent home on the side of a mountain in the Finger Lakes area of NYS, we employed a different tactic toward breaking relationally into the immediate community. Number one, we began to pray for our neighbors. Secondly, we started inviting them over socially to our home. Although responses varied—from one family who didn’t even want to come into our home to others who graciously reciprocated—the overall results were very gratifying. One of our neighbors—a multi-generational farmer whose land surrounds our property on three sides—wonderfully embraced us into the community. Additionally, they have opened their wooded acreage to me for the cutting of firewood. I am going to assume for the sake of our discussion here that most readers are not presently experiencing the degree of community necessary to constitute reliable levels of mutual support. 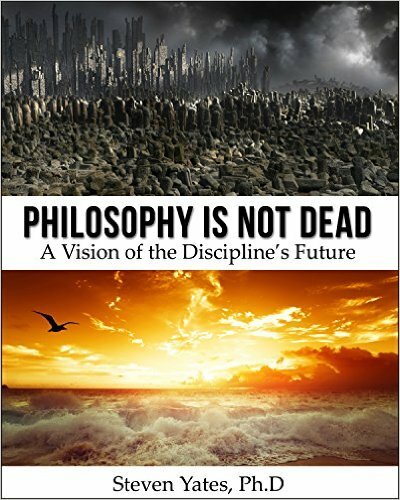 The goal here is not to define some finite plan wherein each participant is assigned distinct responsibilities. When you begin to develop the “prepping community,” you will discover that there will not be absolute agreement on many aspects of what that community should be. This is simply a manifestation of typical human behavior and should not be seen as a negative factor in your efforts. The key to developing the prepping community is in realizing that the backbone of the community is relationships! The primary emphasis and focus must be on building up meaningful relationships within the community. It is out of these relationships that various community prepping skills and resources will develop. Without the foundation of authentic relationships, there will be little hope of developing a substantial and lasting community preparation for what is coming. The development of authentic community should always be a natural and unforced process. Bringing people together in a safe environment in pursuit of common goals will naturally lead to ever-deepening relationships. Once neighbors are comfortable with one another you can begin to call them together in a home over coffee to start addressing the whole issue of community and prepping. Keep in mind that you will probably experience fairly divergent points of view in the initial meetings. It is likely that very few in the gathering would already have seriously contemplated personal prepping let alone given consideration to any community aspects. We should accept this as normal and avoid the temptation to move the agenda forward too quickly. You are seeking to discover the common denominator in your group and working to exploit that for the common good. The common denominator is basically what everyone can pretty much agree on from the outset. The pace at which you can expect to progress is going to be determined by the level of readiness or willingness to address community prepping in the group as a whole. Bear in mind that this is just a starting point and that as persons become more informed and knowledgeable about prepping they will increasingly embrace more of the program naturally. Although we are talking about a secular endeavor here, the biblical parallels are numerous and can be exploited to the benefit of all concerned. There is a lot of wisdom in applying Christian principles absent the religious language that tends to turn off non-believers. For example, the Apostle Paul encouraged every member of the body, when gathered as the church, to bring something of their Holy Spirit endowment in ministry to the other members. In considering the community aspect of prepping, the same principle is applicable. Everyone has different talents, strengths, abilities, knowledge, skills, motivations and resources. By identifying and quantifying the sum total of what everyone is bringing to the game, you can help ensure no one goes unprepared because they didn’t personally possess the needed goods. For example, one may have the knowledge and ability to develop natural springs for a backup source of unadulterated water. Another might be able to train others in hunting skills along with the related talent to dress and preserve wild game. Still others might have tillable ground capable of growing enough food for the entire community. Yet someone else could teach the skills of canning and preserving food. Personally, I have the ability and essential equipment to go into the woods and cut, split and bring in firewood. Another essential aspect of prepping which is not particularly limited to community has to do with being able to buy and sell following the collapse of our monetary system. It isn’t really possible to predict exactly what this condition would look like, but being prepared to counter its affects would go a long way toward making one’s life much more bearable in the interim. The answer to this scenario is in having the ability to barter. The ability to barter has everything to do with the storing up—during times of plenty—of the kinds of goods that you would never want to be without and most other people would be in short supply of. Examples of these kinds of goods could be bath soap, toothpaste, toilet paper, laundry detergent, various calibers of ammunition, etc. Something as simple as a bar of bath soap could be invaluable as a trade when most other people completely run out. In terms of storing up specifically for the purpose of bartering, I would recommend items which are stable and have virtually unending shelf life. I cannot over emphasize the necessity of proceeding at a reasonable and measured pace in one’s attempts to develop authentic community. If you anticipate being a leader within your community, you must be able to establish credibility in the eyes of others. If others perceive you as some sort of radical or conspiracy theorist, they are not apt to lend credence to your wisdom and proffered direction. Calling together the members of one’s community and blindsiding them with doomsday scenarios would probably result in this meeting being the first and the last. Our starting point must include some honest assumptions. The first assumption should be an honest assessment of the level and source of information that most people are operating from. It is fairly safe to assume that most are getting their news from the mainstream media and are therefore forming their perceptions out of a pool of misinformation, false information and outright deception. Most persons do not respond well to being told they have been horribly deceived and don’t really know what’s going on. If you are going to have any chance of winning the minds and hearts of others over to the truth, you will most likely have to work your way incrementally toward it. A lesson from logic can go a long way in encouraging our approach to leading others into a more informed state. In logic, reasoning is often referred to as being either inductive or deductive in kind. Deductive reasoning tends to start with the particulars and progress toward the general. In terms of making an argument, it would mean basically stating what one believes to be the absolute truth of something and then developing a case for that. On the other hand, an inductive argument would start with that which is general in nature and progress toward a theorized conclusion. Part of the value in taking an inductive approach to presenting new arguments is in allowing persons to come to their own conclusions based on the evidence being presented. It tends to avoid crystallized, black and white thinking and has the advantage of ending up with persons being convicted of truth through their own thought processes. One more suggestion—which I believe would be helpful in one’s efforts to develop meaningful community in preparation for societal disruption—would be to help the persons you are working with adopt a meaningful and legitimate worldview. This effort could pay significant dividends in helping to bring greater congruency of perspective within the community. 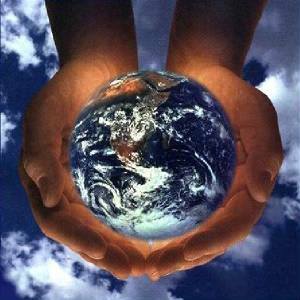 Although the average person may not be able to readily articulate his worldview, it nevertheless likely exists. One’s worldview is simply the beliefs, values and understandings that make up the perceptual prism through which situations and conditions are evaluated and addressed. It is what shapes one’s perspective on all life interactions. The more persons hold to a similar worldview, the more they are apt to respond to any given scenario in a predictable and similar manner. According to the Pew Forum on Religion & Public Life (2007), 78.4% of Americans claim Christianity as their religion. Regardless of how actively persons in this survey participate in or practice their religion, they undoubtedly hold some very fundamental precepts of the faith in common. Applying this knowledge to our efforts to build community means we could probably coalesce and refine the respective worldviews within truly Christian parameters. Helping others to perceive and respond to world conditions in light of God’s eternal order and purpose will greatly facilitate building a congenial and relational community. In guiding discussions involving Christian precepts among persons of diverse religious backgrounds, it is usually helpful to screen out arguments based in denominational dogma and distinctives. If you take the time to develop a community of persons—utterly convinced by their own reasoning of the true moral, monetary and geopolitical condition of the world—you will have the makings of a committed, supportive fellowship of persons with whom to stand when the day of reckoning comes. The potential of just such a community will be well worth the time and effort of nurturing it into existence. One final thought with respect to community. 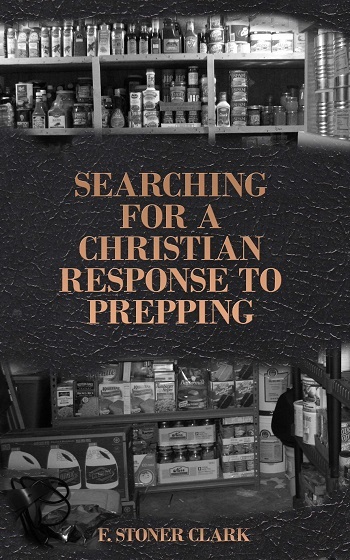 As a Christian committed to developing a prepping community one can easily find the process confusing. This is due to a blurring of the lines differentiating the church and secular communities. It is always our hope that everyone we deal with would come into the saving knowledge of Christ. However, in developing one’s prepping community it could be counterproductive to attempt to make Christianity a qualifying factor for inclusion. This does not mean that certain Christian principles and practices could not be incorporated in the process when exercised in wisdom under the auspices of the Holy Spirit. After the community progresses to a comfortable level of camaraderie and acceptance, it may be very natural to incorporate prayer in the meetings. Given that 4/5’s of the people in America confess to some kind of belief in God, seeking his counsel and wisdom in your efforts would probably not be repugnant to most in the group. Not wanting to add additional confusion to the point, I do want to mention something wonderful I believe God is going to be doing in these last days that could appear as a parallel activity to anyone involved in building up a prepping community. Remember that from the beginning churches were defined by their geographical locations and not by denominational or doctrinal differences. Entering any given locale, there would be only one church although persons belonging to the church of that place could be meeting in many different locations throughout the town. By now we understand that clinging to any denominational distinctives which serve to differentiate and divide one church from another is an untenable position. Jesus is not coming back for many different churches but for the church, his bride. Understanding this, we should be able to accept that prior to Christ’s return, there must be a reclaiming of authentic Christianity faithfully expressed throughout the one true church of Jesus Christ. If this is true—and I believe it with every fiber of my being—we are going to experience the Lord reconstituting his church after the heavenly pattern. Believers whose lives are truly yielded to God—from every Christian persuasion and walk—are going to be challenged to relinquish every false, unbiblical belief, doctrine and practice and embrace the ultimate truth God will reveal to them. All of the things in the above list came into existence 400 or more years after the birth of the church. All of it tended to bring division into the church as well as disenfranchise the priesthood of believers from their biblical ordination. The church Jesus is returning for must look and function like what the Bible describes. Considering our desire and effort to develop a prepper community, I can easily conceive of what may have begun with that intention may well become by God’s grace and nurturing a fresh expression of the last day’s church.